A mission to the planet Mercury got off to a flashy start with tonight’s launch of an Ariane 5 heavy-lift rocket, but there’s a long way to go before the double-barreled BepiColombo probe gets to its destination. 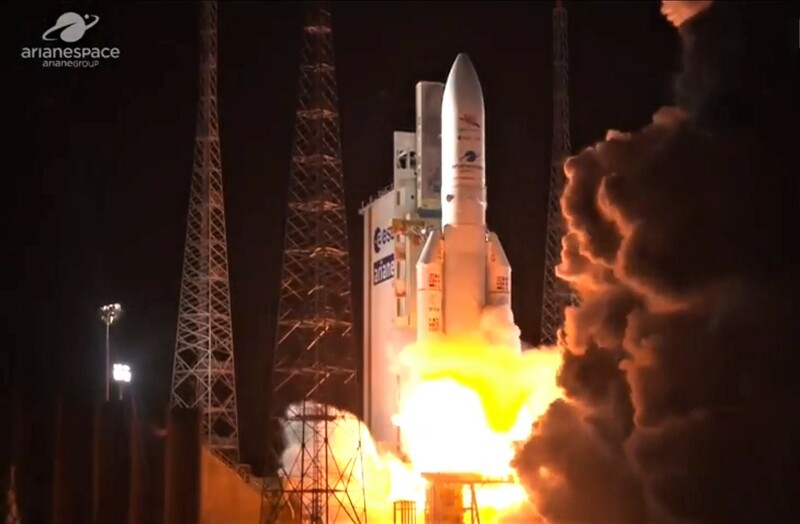 Liftoff from the European Arianespace launch complex in Kourou, French Guiana, came off flawlessly at 10:45 p.m. (6:45 p.m. ET). The $1.5 billion mission, named after the late Italian astrophysicist Giuseppe “Bepi” Colombo, is a joint project of the European Space Agency and the Japan Aerospace Exploration Agency, or JAXA. This entry was posted in GeekWire and tagged BepiColombo, European Space Agency, Mercury, Space. Bookmark the permalink.